Our next historical fiction/history book club meeting is coming up this weekend, and the book we read was The Winter Palace by Eva Stachniak. Although I enjoyed the novel, it wasn’t quite the "novel of Catherine the Great" that I expected based on the subtitle. I’d hoped to be exposed to more of the reign of the extraordinary Russian empress. Catherine the Great is a straightforward, very readable biography. Massie is fortunate to have such a fascinating character as a centerpiece and he does a wonderful job synthesizing a wealth of material. He begins with Catherine’s childhood (as does The Winter Palace) when she arrives in Russia as Sophia, a fifteen-year-old German princess, Empress Elizabeth’s favored choice as bride for Grand Duke Peter. Much of the same material is covered as in the novel, although with different emphasis. There is extensive exploration of Russian politics and international relations, setting the stage for Catherine’s turn as empress. Eventually, Elizabeth dies, Peter takes up the reins of government, and then Catherine, with the help of the army (and her lover), stages a coup. This is where Catherine’s genius truly becomes evident. The challenges she faced were enormous. 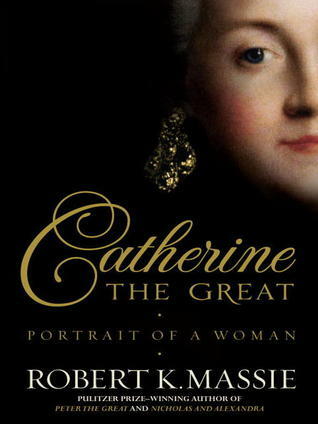 In a more or less chronological march, Massie gives a well-organized, thorough account of Catherine’s attempted reforms, her wars, her varied political alliances, her friendships with philosophers, her patronage of the arts, her attempts to modernize and upgrade the health and education of the populace as well as addressing those rumors about Catherine’s scandalous personal life. Yes, Catherine the Great took a succession of young men as "favorites," the male equivalent of mistresses. But no one at court saw anything scandalous about it at the time. Overall, if you’re interested in Catherine the Great, this excellent biography puts her life in historical context and demonstrates what a truly remarkable woman she was. Finally! I’ve read a book by Jude Morgan. Over the years, I’ve read many reviews of several of his books and the reviews are uniformly glowing. (Not only that, but I have his name slightly mixed up in my head with that of the marvelous Jude Watson.) Confident that I would love Morgan’s writing, I ran out and bought Passion, then let it sit on my shelf. Undaunted, I bought A Taste of Sorrow when it came out. But I haven’t yet managed to read it. Although determined to be a fan, a quick look at the list of Morgan’s bibliography shows me how terribly far behind I’m falling. And then I read a review for A Little Folly. Although published in 2010, the first US edition came out in March 2013, so it’s new-ish. A Regency romance, A Little Folly is compared to the works of Jane Austen and Georgette Heyer—compelling recommendations indeed! But rather than add it to my shelf of unread books, I borrowed it from the library and cracked it open. It is everything I hoped. Hurray! Now, I should get busy with those others. The heroine of this charming tale is Louisa Carnell. Along with her brother, Valentine, Louisa has been brought up in a country estate by an overbearing, domineering father (mother long dead), whose nastiness would have crushed the life out of weaker beings. The steadfast mutual support of the siblings may have been the one thing that kept them going, that and the cautiously devoted friendship of a neighbor, Mr. James Tresilian. One day, in an excess of bad temper, the father dies. After a period of confused mourning, Louisa and Valentine realize they are free to begin to live. They can make their own decisions. They don’t have to fear their father anymore. And so, with baby steps at first, they begin. Louisa’s first major decision is that she will not marry the man her father has chosen for her, Mr. Pearce Lynley, who is every bit as controlling as her father had been, as soon as she can figure out how to make the insufferably proud man understand that she means what she says. Shortly, they receive visitors from London, their own dear cousins (on their mother’s side) Tom and Sophie–as well as a guest of Sophie’s, Lady Harriet Eversholt. Harriet has made a disastrous marriage and is suffering the consequences. After a delightful spell of getting to know one another, the whole party removes to London for the end of the season and the celebration of Napoleon’s defeat. It is in London where the heady freedom the young Carnells are enjoying turns to folly. Valentine is smitten with the married Lady Harriet. Louisa is discovering the small tyranny of being a desirable heiress who might make her own choice and who has men to choose from–not that she is comfortable with power over men, only pleased that they do not have power over her–or something like that. In this Austen-esque comedy-of-manners, there are aptly drawn characters giving us lovely insights into human foibles and a couple of villains to make the conflict threatening enough. Wit abounds–both in the narration and in the bantering of the characters, particularly that of Mr. Tresilian and Louisa. Mr. Lynley does not go away as Louisa bids him to do, and, moreover, he has a younger brother, a wounded war hero, the black sheep of the family. There is enough of convention in this type of book that a particular romantic outcome is expected; however, Morgan plays with convention by keeping a couple of the male leads in the running long enough to confuse expectations. 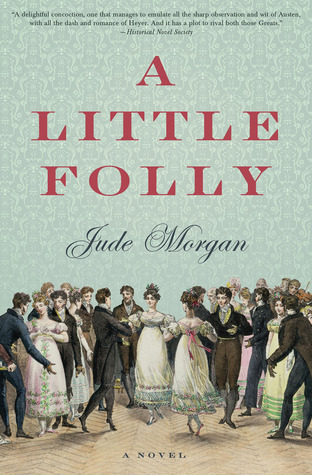 If you find yourself in the mood for a well-written, thoughtful Regency-era novel, you won’t go wrong with A Little Folly. As a library book, this fits with the Library Books Reading Challenge hosted by Book Dragons Lair. And, it is my 13th of 25 books for the Historical Fiction Challenge hosted by Historical Tapestry. How I love a good old-fashioned Roman adventure drama. I don’t pick up books set in Rome very often – what’s left after Colleen McCullough and Lindsey Davis? – but whenever I do, I enjoy the read. And my current choice, particularly so. In this emotionally satisfying tale, young Marcus Aquila, a Roman centurion, takes command of his first cohort in a posting to the frontier in Britain. He asked for the post because Britain is where his father had disappeared many years earlier while leading an entire legion. The Ninth Hispana had marched off into the mists and never returned. Many rumors sprang up over the years, but no one knew what really happened. Marcus dreamed of somehow discovering the truth. He wanted to restore the honor of the lost legion. Unfortunately, although Marcus is a fine soldier and inspiring leader, he’s severely wounded in the first battle his cohort faces. The life he anticipated is effectively over. Marcus is packed off to the home of an elderly uncle, a soldier who had retired in Britain. He’s made welcome there and he makes a slow recovery. One day, his uncle takes him to witness some games, and two important things happen. First, he meets Cottia, the young niece of his uncle’s neighbors. Cottia is quite a bit younger than Marcus, but not so much younger that it will always matter. Second, he watches a young gladiator lose a battle and, without quite knowing why, he sways the crowd to grant the young fighter mercy. Afterward, Marcus purchases the gladiator, Esca, to be his body-slave. Just about the time that Marcus is well enough to fret about what he will do with the rest of his life, an old friend of his uncle’s, another legate, passes through on the way to Rome. He is carrying a rumor. A bare hint of a rumor. The eagle of the Ninth (meaning the eagle-shaped piece of statuary that the standard-bearer for the legion carried, the symbol of the Roman legion) had been spotted somewhere up in the north, in the barbarian country, in one of the Holy places. It was thought perhaps the barbarians might one day use it to rally their warriors to rebel against Rome. If only there was a man who could sneak in to the Northern lands and find out if the rumor were even true. And if it was true, take back the eagle. If the legate had such a man under his command, he would certainly send him, even though the dangers are terrible and the chance of success is negligible. Marcus and Esca set off. It’s no cinematic car chase, although some scenes are quietly thrilling. But it is a steady adventure. With the odds against them, they persevere. They demonstrate all the traditional "Roman" values. For some reason, I’m able to cast aside my cynical self and just enjoy watching Marcus and Esca being noble, strong, and buddy-buddy. Their enemies are all good guys too. They are able to see each other’s viewpoints and respect them, even if they don’t entirely understand them. Marcus knows he can’t make the "wild people" understand his loyalty to Rome, but they will understand that he must keep faith with his father. So, he explains that he has come to take back his father’s eagle. It’s a personal quest, not a military one. In very many ways, he is telling the truth. The journey transforms Marcus too. Early on, Marcus is someone who cannot understand why anyone would not want what Rome has to offer. Why would the barbarians reject Roman civilization? After spending time in the north, he seems to better appreciate the way of life they want to preserve. So, there is more going on in the story than the simple retrieving of the eagle and restoring of the good name of the Ninth Legion—or not. Does he succeed? It is a pretty tall order. I highly recommend this book. It’s short and, it’s, well, classic. The only problem is, this is the first book in a trilogy. I thought I was trimming my TBR pile, but rather than clearing one book off of it, I now have to add two more to it! 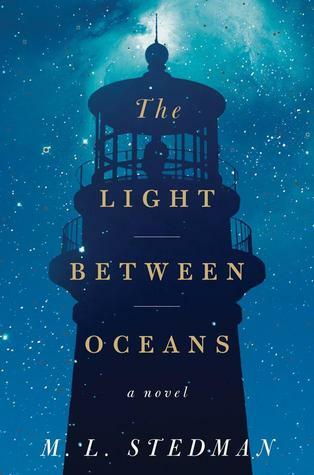 The Light Between Oceans by M. L. Stedman is another novel set in the aftermath of WWI, dealing with people who must move on with their lives while struggling with the losses of the war. The protagonists are Tom Sherbourne and his wife, Isabel. Tom is a good man through and through who is suffering from survivor’s guilt after coming through four years of service on the Western Front. Not only that, but he’s carrying some pretty heavy baggage from a messed-up childhood. After the war, he took on the job of lighthouse keeper. Tom likes the solitude, rules, and routines–it’s therapeutic. He isn’t even daunted by a posting to a lighthouse as lonely as Janus Rock, an island off the Australian coast, where he is left without human contact for three month stretches at a time, relieved only by the quarterly arrival of a supply boat. Nevertheless, in the small port town of Partageuse, the jumping off point for Janus, Tom meets a young woman named Isabelle Graysmark. She is lively and flirtatious. They hit it off from the start. Despite the limited time available for courtship, they commit to one another after a couple of letters and are soon wed.
Life on the island is idyllic in many ways, but not perfect. Tom is not a "sharer." Isabel is lonely. A baby would make everything better, but Isabel loses three pregnancies in fairly quick succession. She becomes angry and resentful. There isn’t anything Tom can do to help. And then, one evening, just after Isabel has delivered a stillborn boy, a boat washes ashore. In it, there is a dead man and a healthy baby girl. Tom knows that it is his duty to signal to the mainland and make a report. Isabel convinces him to wait, just until morning. Morning stretches to the next day and the next. Isabel says the baby is a gift from God. The mother must be dead, drowned. They can’t send the baby off to an orphanage. The baby needs them. For Tom, rules are meant to be followed, but Isabel accuses him of heartlessness. Tom is anything but heartless. This book is painful to read. It’s easy to understand the yearning and love behind the bad decisions made all around. And yet, the inevitable disaster looms from the minute they claim that baby as their own. It’s an interesting story, because there aren’t really any bad people. There are just people desperate enough to justify actions that are wrong as can be, and who are pitiful enough that it’s difficult to judge them too harshly–until you put yourself in the shoes of the person who was devastated by what they have done. The Light Between Oceans is an emotionally gripping story. And the details of the life of a lighthouse keeper are fascinating. I’m counting this as both a historical challenge book (Historical Tapestry hosts) and a library reading challenge book (hosted by Book Dragon’s Lair). A couple years ago, at Thanksgiving dinner, I talked books with one of my dinner companions. He’s a big fan of Simon Winchester. I had to confess I hadn’t read this author, though I’d heard good things about his work. The book I was most interested in was The Professor and the Madman. A Tale of Murder, Insanity, and the Making of the Oxford English Dictionary. As evident from the title, it tells the story of how the OED came into being. (Who doesn’t love the OED?) The professor was Dr. James Murray, the dedicated editor who devoted his life to the task. 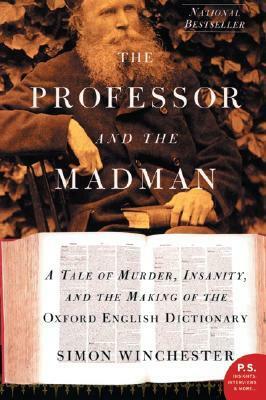 The madman was Dr. William Minor, an educated American Civil War surgeon, who supplied more than ten thousand quotations for the dictionary over the decades of its preparation–from within the confines of an asylum for the criminally insane. The compilation of the OED was a massive undertaking, spanning many decades. Learning about how the process worked is worth the read. And Winchester does a good job of teasing out the details of the lives of the two men, Murray and Minor, as he presents their dual biographies. However, overall, I had the impression that there was about enough story here for a book half the length of this one and Winchester, who started out with a fascinating idea, was left with the need to significantly pad a good story to get it to a sellable length. There was a lot of digression, repetition, and speculation. So I liked the history but was a little frustrated by its presentation. 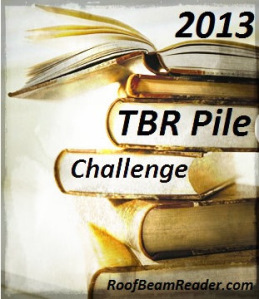 But I completed another TBR-pile book! Three down, nine to go. I'd better pick up the pace. The challenge is hosted by Roof Beam Reader. One of the best YA historicals I’ve read since I started blogging is Between Shades of Gray by Ruta Sepetys. It had great characters, a compelling plot, and taught me a lot about an important historical event–everything I hope for from historical fiction. So I was thrilled to see a new Sepetys book had been released: Out of the Easy. This book is set in an entirely different location and time period and has an entirely different tone. It’s more of a YA noir/crime historical. 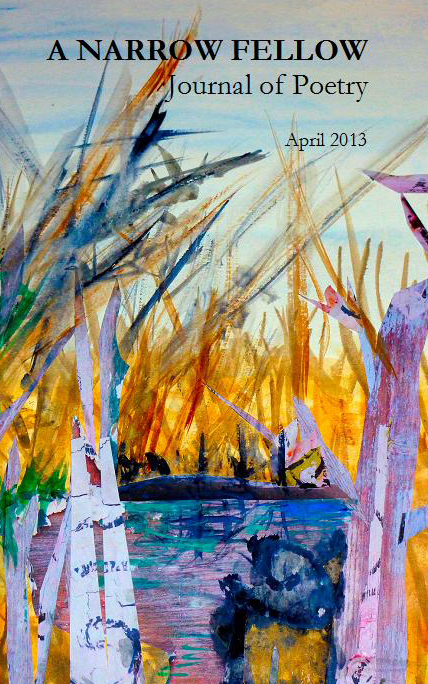 It reminds me a bit of What I Saw and How I Lied or of Strings Attached by Judy Blundell. In Out of the Easy, the seventeen-year-old Josie Moraine lives on the fringes of the New Orleans underworld. Her mother, one of the most worthless maternal specimens ever to grace a page, is a lying manipulative thief and a prostitute. She would have abandoned Josie long ago, except that Josie is useful to her. Josie does not live at the brothel with her mother. She fled to a bookstore where the kindly owner lets her sleep in an office he converted to a small bedroom for her. Josie and the owner’s son, Patrick, have been bestfriends and co-workers for years. There are other important characters. Willie, the brothel owner, is a tough-minded, warm-hearted business woman. She has been more of a mother to Josie than her own mother ever was. There is a driver/messenger who works for Willie named Cokie, who is Josie’s friend and protector. There are the various "girls" at the brothel–Josie knows them all pretty well since, besides working in the bookstore, she also cleans the brothel in the mornings. And there is handsome Jesse Thierry, a nice young mechanic who frequently appears when she needs some support. Josie is intelligent, well-read, and ambitious. She wants out of New Orleans. She is saving all her money to go to college someplace where she won’t be known as the prostitute’s daughter. With a support system of sorts in place, it seems possible, although unlikely, that Josie will find a way out. Except that on New Year’s Eve, a wealthy, cultured, kind man enters the bookstore and buys two books, chatting with Josie as he does so. She’s impressed with him. She likes him. The next day, she learns that he died mysteriously later that night. Josie’s world, which was shady even under normal circumstances, unravels even more as the mysterious circumstances of his death stretch closer and closer to her. 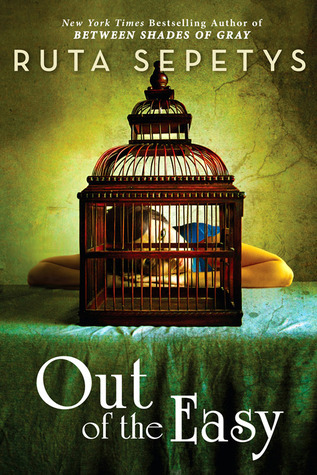 Out of the Easy is a well-plotted YA historical. It’s not exactly a mystery, since it’s pretty clear from early on whodunnit. I thought some of the set-up of the plotting was a little strained, and some of it was a little predictable. (Are all madames tough business women with hearts of gold?) However, it’s interesting to watch Josie work her way through the tangles and I did root for her to succeed. Although not a must-read like Between Shades of Gray, it is entertaining! I'm adding this to my Historical Fiction Challenge, hosted by Historical Tapestry. Come see what other historical fiction fans are reading!